What is the absolute best sport for staying healthy? Many people would say running, biking, swimming, or basketball. After all, these sports all involve high amounts of cardio sustained over long periods of time. Plus, these sports have a huge cultural presence and are the first things that come to mind when thinking of exercise. But would it surprise you to know that out of all the sports, tennis, squash, and badminton have been scientifically proven as the most effective ways to stay healthy? The racquet sports reduce the risk of death by 47 per cent compared to doing nothing, researchers discovered. The study, which looked at the impact of different sports on health of people with an average age of 51, found swimming cut the risk of death by 28 per cent, aerobics by 27 per cent and cycling by 15 per cent. In other words, if you want to stay healthy longer, get out on that tennis court! The study analyzed health surveys (covering approximately 80,000 people) in both England and Scotland from from 1994-2008 to arrive at their conclusions. 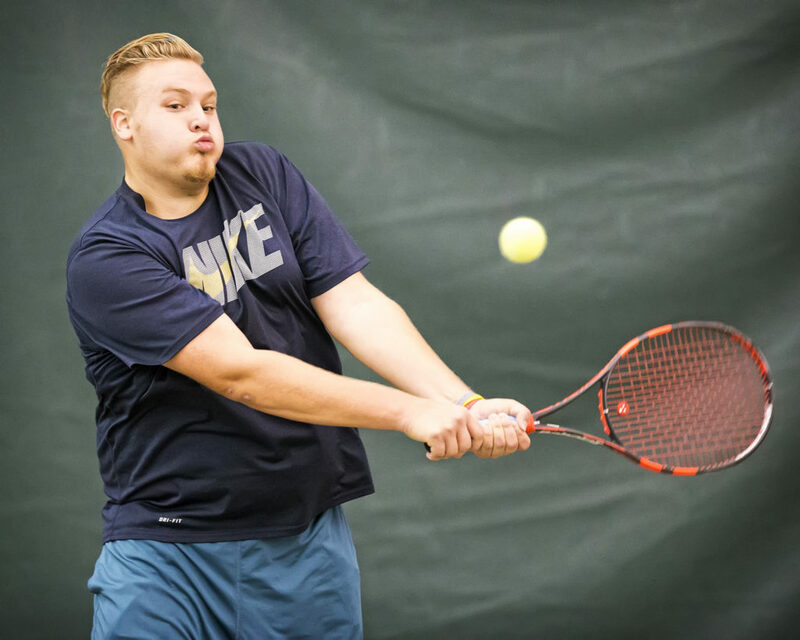 Why are racquet sports better than other sports? Are there disadvantages to other sports like running that aren’t found in tennis, squash, and badminton? In this post, we’re going to explain exactly why tennis is the best sport for staying in shape. Unlike sports such as running and cycling, tennis involves a massive amount of quick sprints. You cut back and forth across the court, lunging for shots, driving forehands down the baseline, and even sprawling to make backhand saves. This type of intense activity followed by brief breaks is often called “high intensity intervals” and is regularly used by top athletes to maintain peak performance. Tennis great Bjorn Borg allegedly described a tennis match as "a thousand tiny sprints." During a match, the frequent short bursts of high-intensity activity, interspersed with longer periods of lighter, less vigorous movements, are a perfect example of interval training. This workout strategy — which can be adapted to almost any type of exercise — seems to be a good way to boost cardiovascular fitness, according to exercise experts. High intensity interval training (HIIT) has been consistently proven to be more effective for burning fat and losing weight than sustained cardio like running. Yes, both tennis and running elevate the heart rate for an extended period of time, but when it comes to burning off harmful belly fat, HIIT is a better solution. Sports like cycling and running provide workouts for very specific areas of the body, predominantly in the legs and hips. While it’s crucial to exercise these muscles, tennis provides an intense workout for the entire body. Consider all that your body is doing while playing tennis. When you serve, you drive upwards with your legs, torque at the waist, and launch your arm forward at an incredible speed. When you run across the court to return a ball, you’re working your thighs, calves, arms, and shoulders. A backhand utilizes your triceps and forearms. 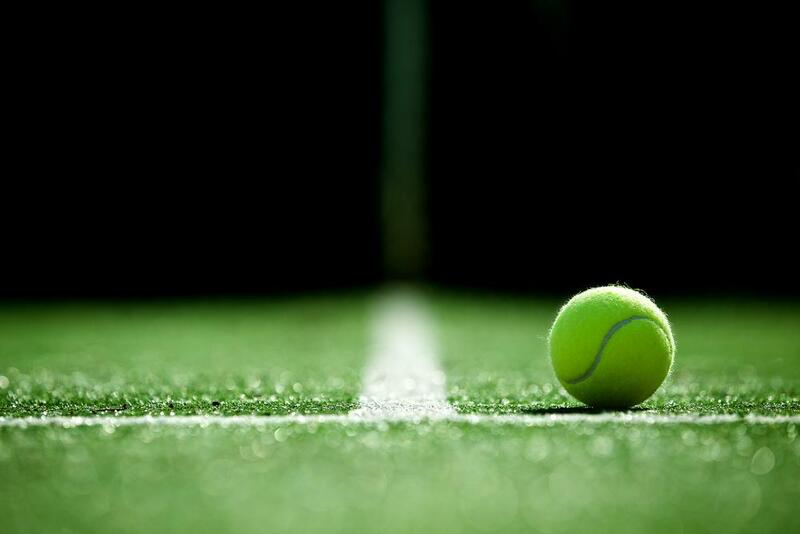 With its emphasis on quick, explosive movements, dynamic strength, endurance, and agility, tennis is perhaps the original cross-training workout—a fact we’ll be reminded of when watching the world’s top athletes crush 140-mile-per-hour serves and send balls zipping down the line at the U.S. Open over the next few weeks. One look at their powerful frames proves that while high-intensity interval training studios and dance-cardio sessions generate plenty of buzz among fitness enthusiasts these days, there’s still little that compares to the total-body sculpting benefits—or the sheer satisfaction—of a well-played tennis set. If even Vogue concedes that tennis is the ultimate body workout, there’s probably some truth to the matter. Some sports are known for injuries due to specific repetitive movements. Baseball pitchers, for example, often encounter shoulder problems due to the stress of throwing a ball 100 times per game. Runners struggle with shin splints, joint pain, and foot issues because of the constant pounding associated with jogging mile after mile. While tennis certainly does have some repeated movements, such as the serve, it also varies significantly. Rallies involve striking the ball from many different angles, sprinting back and forth, and often lunging. These movements have a cross-training effect, strengthening all the muscles and preventing injuries that come with repetitive movements. Playing tennis isn’t good for your muscles alone; it has a positive impact on your bones as well. Exercising regularly can increase your peak bone mass and can slow the rate of bone mass loss over time. According to the National Institutes of Health (NIH), bone mass peaks around age 30 and begins to decline after that. You can maximize your bone mass prior to that age through exercise, and continuing to exercise after 30 can slow the rate of bone loss. The NIH names tennis as one of the weight-bearing activities well suited to building strong bones. If you want to avoid the stress injuries common with other sports, tennis is a great alternative. Tennis requires an astonishing amount of flexibility and coordination. If you play, you’ll be forced to put your body in positions it isn’t used to, stretching and loosening your muscles. Because of this, you should make a concerted effort to stretch before and after each game. Tennis also demands that you coordinate your muscles precisely. You need to focus on the ball and control all your muscles as you strike it. If you waver for even a moment, it can be the difference between an ace and a fault. 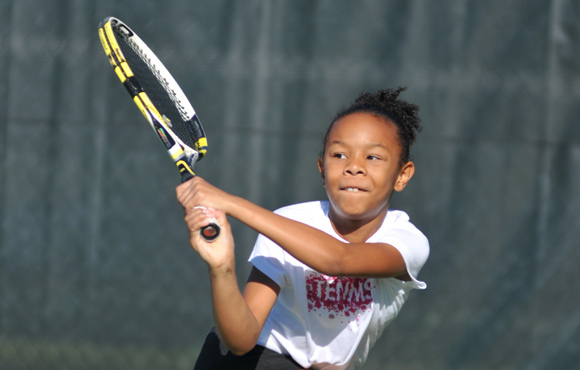 Practicing tennis helps you develop coordination in ways that you didn’t know were possible. It also strengthens your ability to intensely focus on a single goal for a short period of time. The moment you lose focus, the ball zips by you or you strike it incorrectly. Some sports, by their very nature, can be solitary. Long distance running. Weight lifting. Swimming. Tennis on the other hand, always requires at least one other person to play. This social interaction creates a community aspect to the game, allowing you to deepen friendships, get a workout, and get some intense competition all at the same time. Because humans are social creatures, interaction is deeply healthy, both for our mental and emotional well being. Tennis is a fantastic sport both for the body and the mind. Few sports compare to tennis. It combines the intense action of a boxing match with the elegant movements of a ballet. It brings together intense speed and precise movement in shocking ways. And it allows us to enjoy a game while also getting an incredibly healthy workout. There will always be a place for sports such as swimming, cycling, and running. But if it’s health you want, tennis may be your ticket.